Throw a cute bomber or blazer over top and its a perfect travel tee. Basic enough to be styled in many ways. 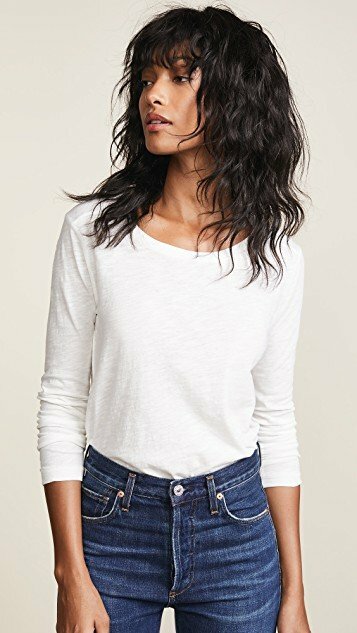 This is a long sleeve version of the Whisper Cotton tee by Madewell. 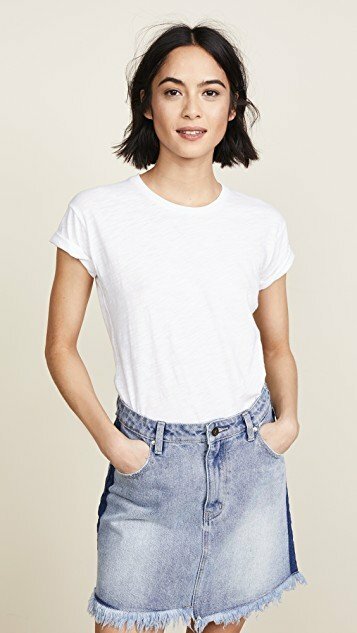 A well-crafted basic tee that's easy to layer. 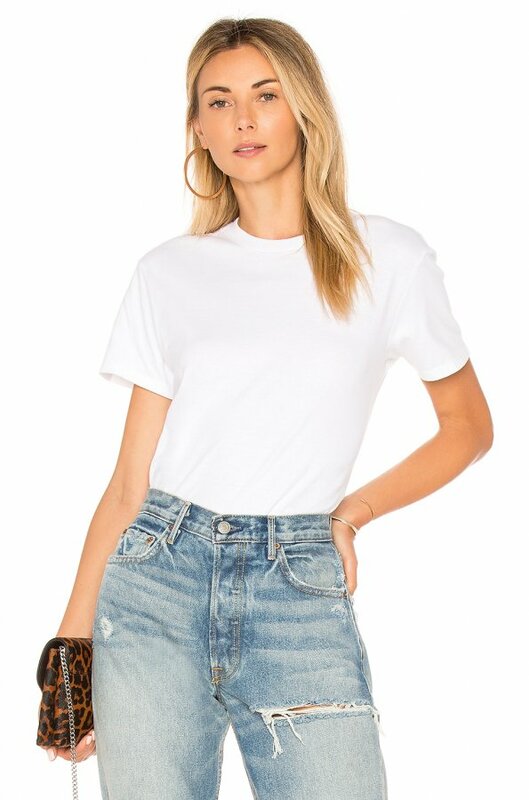 Pair a crisp white tee with a pair of relaxed denim jeans for a comfy travel outfit. If your willing to splurge on a tee this is the one. 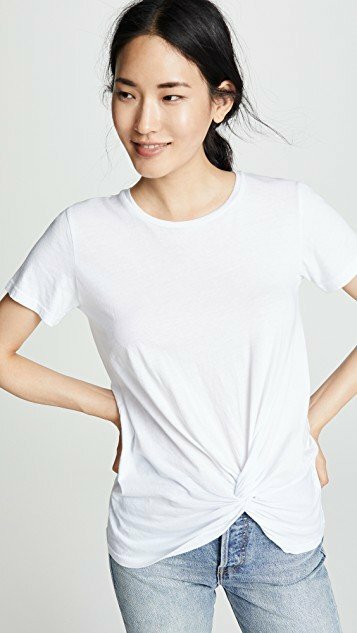 A feather-light James Perse V-neck tee with a formfitting profile and irresistible softness. Short sleeves. 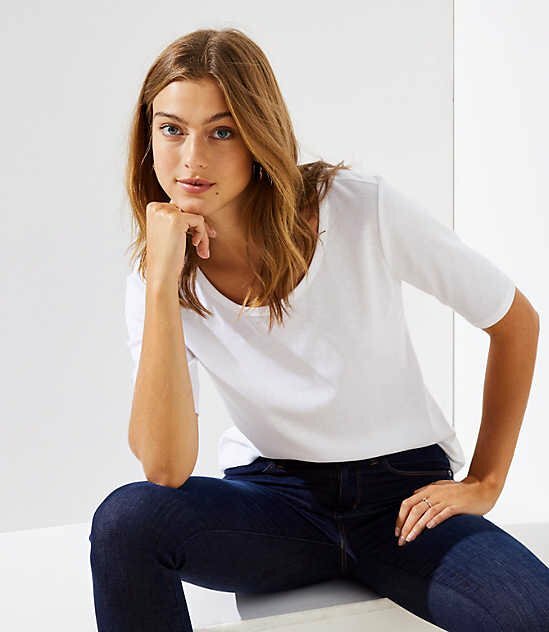 The perfect t-shirt, slim-fit Madewell tee in soft slubbed jersey. Crew neckline. Rolled short sleeves. 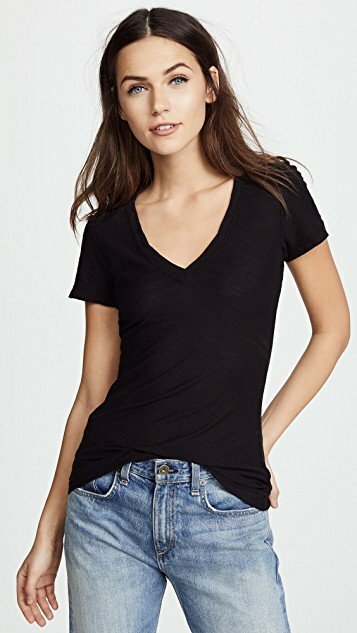 The not so basic tee with the knotted front is super cute. 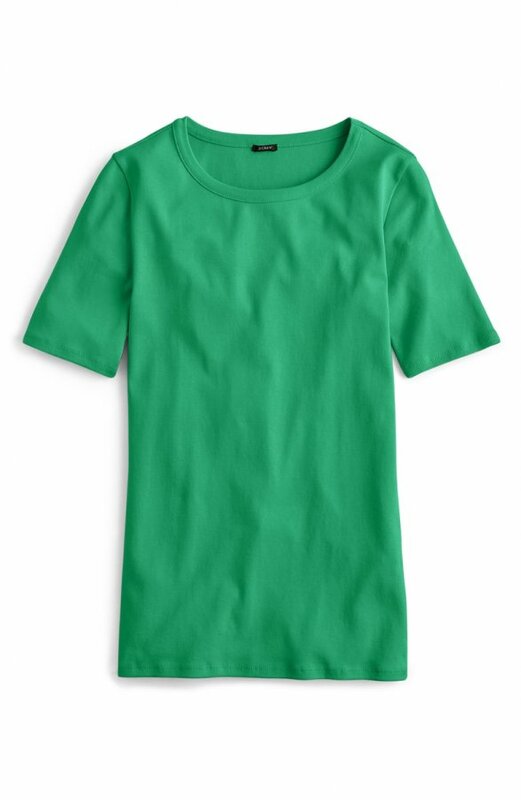 The perfect-fit tee you love, now with longer sleeves so it's even more, well, perfect. 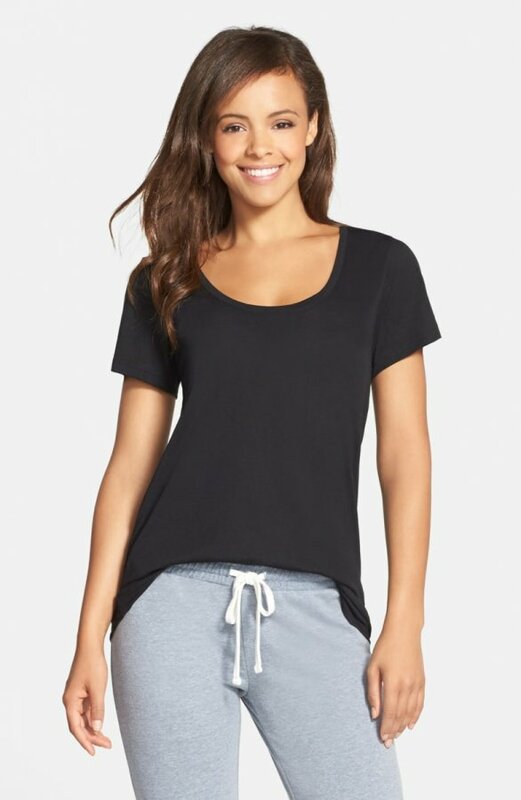 A comfy heater gray t-shirt is neutral and can be worn with anything.